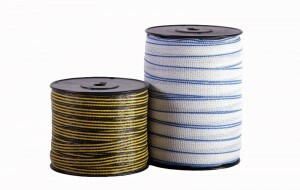 Poly tape is constructed of UV stabilized high-density polyethylene support yarns and stainless steel conductors. 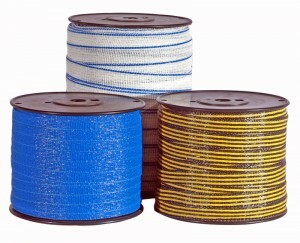 We can put as few as five stainless steel wires and up to sixteen. We can also customize to customers specifications. 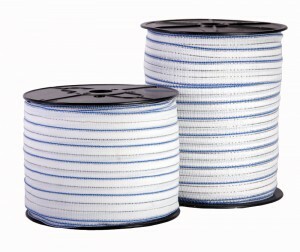 Ranges between 13 mil warp and 13 mil fill to 20 mil warp and 15 mil fill (depending on customers request) and a range of stainless steel wire ends from 10 – 15, using either 7 mil or 12 mil wire. Poly Tape can be customized to your specifications and labeled. 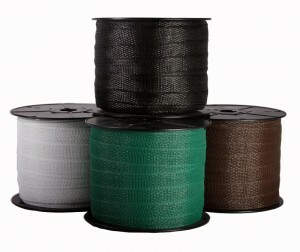 Poly tape is sold in case quantities. Contact our sales staff for ordering information.